Most dog owners are aware of pet health needs and the necessity of heartworm preventatives, but it’s also a good idea to talk to your veterinarian about cat heartworm prevention too. Heartworms are becoming more and more prevalent in cats. The increase is likely due to the fact that testing for heartworm is not necessarily done as part of a routine annual visit. Because of this, the definitive number of cats with heartworm is widely unknown. Giving your cat a heartworm preventative should be a part of your cat pet care regimen. Heartworms are transmitted to cats when an infected mosquito bites the cat. The mosquito injects the heartworm larvae into the cat, which eventually ends up in the cat’s heart. Approximately 6 months later, the larvae become adult worms and begin to release microfilaria, or immature heartworms. Indoor cats are not immune to the disease. Approximately 25% of the cats diagnosed with heartworm are indoor cats. The cat illness symptoms of feline heartworms are inconsistent, which makes diagnosing the disease difficult. The most common signs that pet health has been compromised are rapid breathing and coughing. These symptoms are also common in other feline diseases. Feline heartworms are diagnosed via blood tests. Currently there are no safe treatment options for feline heartworms. Any symptoms caused by the disease are treated to keep the animal comfortable until the heartworms die. The lifecycle of the heartworms is approximately 2 years. Cat health issues, like feline heartworms, can be avoided by giving your cat heartworm prevention. Pets Best Insurance has a limited benefit for the testing of heartworms with its BestWellness plan—which can be added on to any illness and accident cat insurance policy for $22 per month. 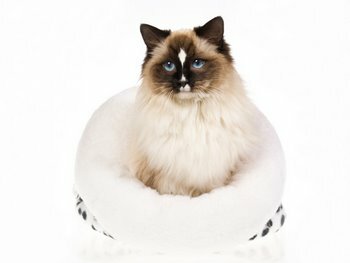 For more information on what is covered under the BestWellness plan, or general information about health insurance for cats, visit www.petsbest.com.